This tutorial shows how to build and train a Conditional Generative Adversarial Network (CGAN) on MNIST images. A Generative Adversarial Model simultaneously trains two models: a generator that learns to output fake samples from an unknown distribution and a discriminator that learns to distinguish fake from real samples. The MNIST dataset is available on Kaggle. Once train.csv is downloaded into the data/ folder, we can import into R.
Custom iterators are defined in iterators.R and imported by CGAN_mnist_setup.R. The noise vector provides the building blocks to the Generator model, which will learns how to structure that noise into a sample. 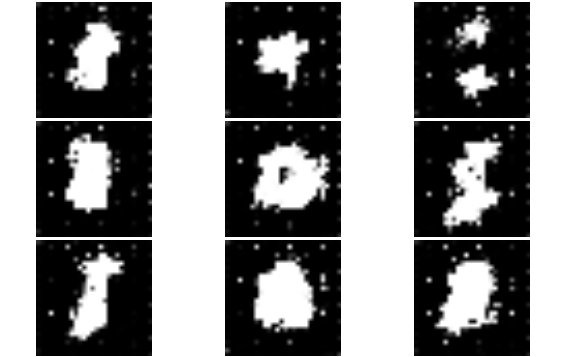 The mx.symbol.Deconvolution operator is used to upsample the initial input from a 1x1 shape up to a 28x28 image. The information on the label for which to generate a fake sample is provided by a one-hot encoding of the label indices that is appended to the random noise. For MNIST, the 0-9 indices are therefore converted into a binary vector of length 10. More complex applications would require embeddings rather than simple one-hot to encode the condition. 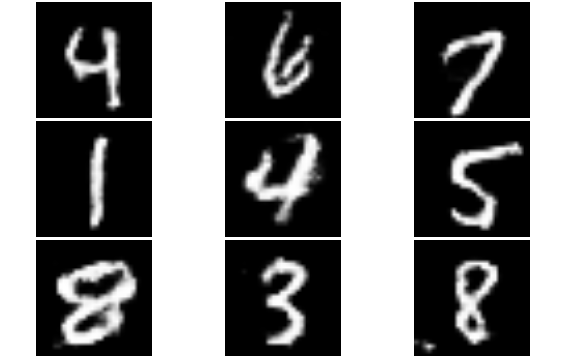 The discriminator attempts to distinguish between fake samples produced by the generator and real ones sampled from MNIST training data. 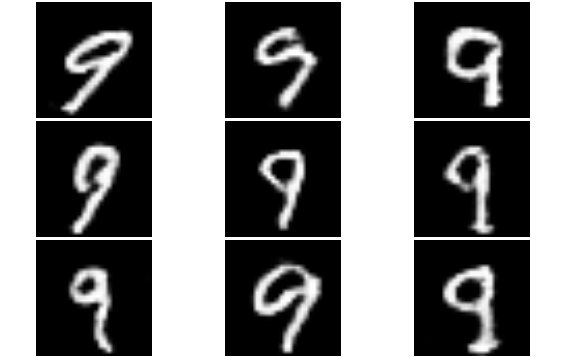 In a conditional GAN, the labels associated with the samples are also provided to the Discriminator. In this demo, this information is again provided as a hot-hot encoding of the label that is broadcast to match the image dimensions (10 -> 28x28x10). The training process of the discriminator is most obvious: the loss is simple a binary TRUE/FALSE response and that loss is propagated back into the CNN network. It can therefore be understood as a simple binary classification problem. The generator loss comes from the backpropagation of the the discriminator loss into its generated output. By faking the generator labels to be real samples into the discriminator, the discriminator back-propagated loss provides the generator with the information on how to best adapt its parameters to trick the discriminator into believing the fake samples are real. This requires to backpropagate the gradients up to the input data of the discriminator (whereas this input gradient is typically ignored in vanilla feedforward network). The above training steps are executed in the CGAN_train.R script. During training, the imager package facilitates the visual quality assessment of the fake samples. Below are samples obtained at different stage of the training. 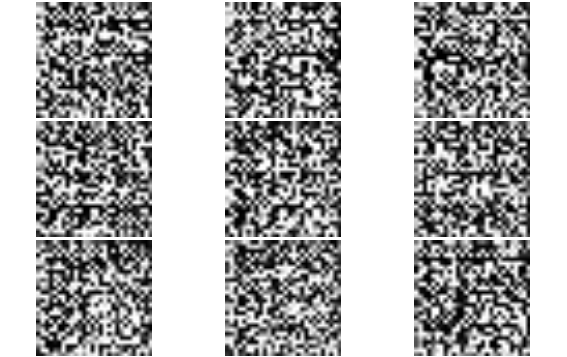 Once the model is trained, synthetic images of the desired digit can be produced by feeding the generator with fixed labels rather than the randomly generated ones used during the training. Further details of the CGAN methodology can be found in the paper Generative Adversarial Text to Image Synthesis.